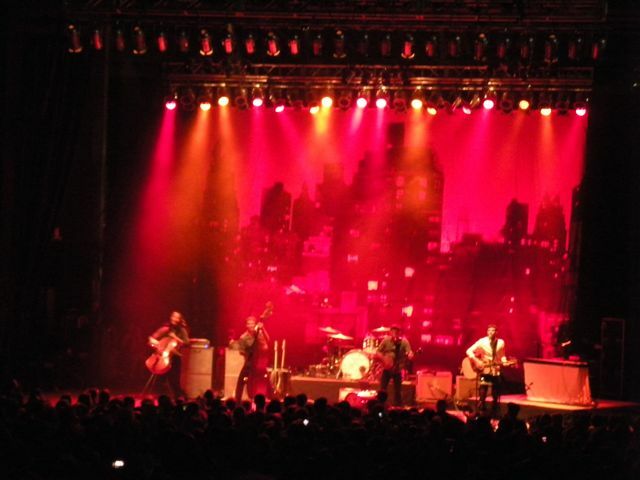 The Avett Brothers - live! Concerts are funny things. You spend a lot of money to stand a little too far away from the stage and listen to music that sounds better coming out of your laptop speakers. You have to endure the delayed start time, the no-name opener, and (depending on the concert) the haze of marijuana smoke radiating from your neighbors. And yet I love them. 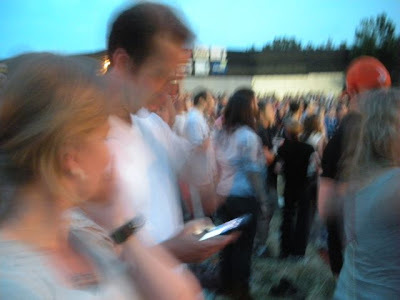 A few weeks ago I crashed the Flower’s date night and went with them to The Avett Brothers concert. Before we booked the tickets, I wasn’t that familiar with the band, having only heard them when they performed with Bob Dylan at the Grammys this year. But Ken knew them, and when he found out that they were playing in Columbus in May he called to see if I wanted to go with him and Beth. Looking back, it is possible that he was calling to see if I would baby sit the kiddos, but was unable to bring himself to ask after I reacted with such excitement to the prospect of a concert (any concert), and invited me to come along instead. Win. I did tell them that they could make out and I wouldn't look. I'm not totally insensitive to date night. Going to concerts is a perk of living in the big city. For some reason, it was difficult for Alaska to attract big names to come and sing to us. They must be reluctant to navigate their tour buses around the curvy Canadian passes of the ALCAN (stupid Canada, you ruin everything). The Avett Brothers are great. They have a very energetic presence onstage, and look like they’re having a good time and enjoy one another. I devoted myself to learning their music (thanks Grooveshark!) before the concert, and I like almost everything. My favorites are Murder in the City, I and Love and You, and Kickdrum Heart. The Avett Brothers – Check ‘em out! Of course, that might just be the second-hand pot smoke talking.